Cambridge was also a microcosm of society, but a very different one. My friends at Cambridge included many Latin Americans, and the tragic events of that September 11—the US-orchestrated coup against Salvador Allende in Chile—were what I was to cut my political teeth on. The look of despair on the face of a Chilean friend, suddenly a refugee whose friends and family were now in peril, was etched in my memory. That began my path of study and activism, and drove home to me the essence of the world political and economic system. 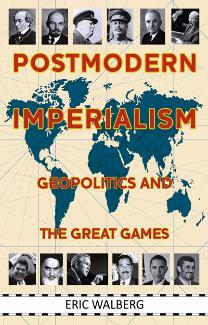 Imperialism was not an abstraction, but a devastating force that destroyed good, idealistic people, whole peoples. Enemies of imperialism must be reconsidered, in the first place, the Soviet Union, which until then I had accepted as a dangerous and evil force in the world. I immediately began studying Russian and was determined to experience Soviet reality from the inside. The “Soviet threat” was the pretext for Nixon’s undermining the Chilean revolution. It was the pretext for the blockade of Cuba. It was the pretext for the horrors the US was inflicting on the Vietnamese. Was it really the evil empire which I had been indoctrinated into fearing and loathing my entire life? I had to find out for myself. Looking back on this turning point in my life, I can only marvel at the few slight breathing spaces in the Cold War that allowed people to reject the capitalist paradigm, to realize who the real enemy is. As opposed to Thatcher’s TINA (There Is No Alternative) —There Was An Alternative (TWAA)! Fear of this ‘enemy’ quickly evaporated among intelligent mainstream people in the West during the periods of detente (1941–48, 1963–68, 1973–79). These brief respites were tactical retreats in the long-term fight by imperialism, biding its time. My studies were framed by the coup in Chile in September 1973 and the liberation of Saigon in the spring of 1975. Celebrating the latter moment with my friends in the university cafeteria is also etched in my mind. The world belonged to us. The low point for US imperialism, the high point (the last, it turned out) for the Soviet Union. I studied with Marxists such as Maurice Dobb, and neo-Ricardians such as Piero Sraffa, Luigi Pasinetti, and Joan Robinson, and suddenly saw the twentieth century through new lenses. Upon my return to Toronto, I sought out what I learned were called “fellow travelers”. There weren’t so many as I expected. In desperation, I looked in the phone book under USSR, but there was not even a Soviet Consulate in Canada’s largest city (though there was a Bulgarian, a Czech, even a Cuban one). I eventually stumbled across the Canada-USSR Friendship Society, a motley collection of primarily Slavic and east European immigrants, Jews, with a smattering of WASP peaceniks. A friendly if doctrinaire group, with no sign of any super spies like Kim Philby. In retrospect, I see that the peacenik contingent was more conspicuous in its absence. With great difficulty, I got to Moscow in 1979 to study Russian at Moscow State University (MGU) through the Friendship Society, a bizarre and memorable experience to say the least. I fell sick and became sicker after a short stay in a filthy hospital, but managed to stick it out till we were peremptorily shunted to unfinished Olympic accommodations in order to make room for newly revolutionary Ethiopian students at MGU. The Soviet invasion of Afghanistan took place as we trudged through the freezing mud to our new residence in December, the subsequent collapse of détente playing out on an international stage my own frustrations with “real existing socialism”, a system that left no room for criticism or doubt in the face of much nonsense and cruelty. My former enthusiasm for Soviet-style communism* was gone; however, on returning to North America, I was faced with the mindless propaganda and belligerence of Reagan America, and I realized that my love affair with the ornery Soviet beast was not over—TWAA. When Gorbachev dismantled censorship (glasnost) and began his ill-fated economic reforms (perestroika), I landed a job at Moscow News. My sense of urgency in getting there ASAP was not ill-founded, as it turned out. The brief respites from the Cold War and this final crazy attempt to create a ‘nice’ socialism were indeed remarkable. The US actually feared and respected another country, and that country held out its diplomatic hand in friendship, only to find itself subverted by its new ‘friend’. The Bushes and now Obama have all vowed since never to let another country challenge the US militarily again. How ironic, now that conventional military superiority has lost all meaning in an age of dirty bombs and anthrax. The Soviet Union produced environmental disasters, notably the death of the Aral Sea. Collective farming enforced at gunpoint destroyed a vibrant peasant tradition. The gulags and Stalinist repression were a terrible tragedy. But colonialism and fascism killed far more innocent people, and both were aggressive, starting wars with other countries. The Soviet Union was a one-party system, a dictatorship, but not an aggressively expanding empire, contrary to what we were and are indoctrinated into believing. For all its political flaws, it showed the viability of a non-capitalist way of organizing technologically advanced urban society. Its economic flaws—inefficiency, sloppiness, low standards, ecological disregard—were countered by its pluses—guaranteed employment, free public services, encouragement of modest material needs, broad access to culture, security for the individual, a less competitive more egalitarian lifestyle. This is how it was understood in the third world, where its passing is still mourned. Until the collapse of the Soviet Union, the main foe of Israel, I hadn’t paid special attention to the Middle East, assuming that as the anti-imperialist forces grew, Israel would be pressured to make peace. The assassination of Yitzak Rabin in 1994 and the ascendancy of the neocons made it clear that this was not going to happen. The defeat of communism meant that the only remaining anti-imperialist cultural force was Islam, and I was drawn to Uzbekistan in Central Asia, with a vibrant Muslim heritage. This culminated in another major turning point for me—watching the twin towers collapse 28 years after the “9/11” coup in Chile, on that more familiar “9/11” of 2001, in bleak post-Soviet Tashkent. My immediate reaction was that their collapse simply could not be the work of a band of poorly trained Muslims orchestrated by someone in a cave in neighboring Afghanistan. Subsequent study has confirmed to me that the events of 2001 had far more to do with US imperialism—and Israel—than Islam. I am fortunate to have lived my life on both sides of the “Iron Curtain” and now in the heart of the supposed enemy today—the Islamic world. This has given me the opportunity to experience alternative realities, to step back from my western heritage and see more clearly how the western world confronts and plays with other countries and cultures. There are many such journeys of discovering by people coming of age politically. I hope my reflections provide readers the opportunity to step back from their frame of reference, and help them understand the games we are forced to play. *A note on the use of the terms communism, capitalism and imperialism: communism refers to both the theory as proposed by Marx and the attempts to realize the theory as embodied in the social formations of post-1917 Russia and post-WWII eastern Europe. While the latter strayed far from the theory, they were nonetheless inspired by Marx. Critics may replace “communism” with “failed workers’ state” or “state capitalism” as they like. This does not undermine the overall thesis about communism made here. I treat the terms capitalism and imperialism as scientific terms as used by Marx and Lenin. The Soviet Union became a ruthless dictatorship under Stalin, but the logic of it and its relations with eastern Europe were not imperialist. To use such terms cavalierly to refer to noncapitalist social formations would reduce any analysis to rubble—a kind of intellectual 9/11, an apt metaphor for how US capitalist mind-control prevents any real opposition from taking root.